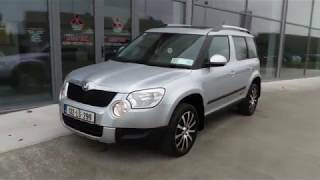 The Skoda Yeti has been without shadow of a doubt a very successful compact SUV ever since it made its debut back in 2009. 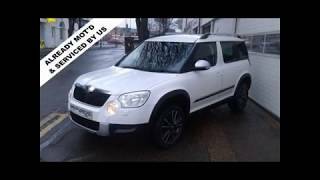 To keep the flame burning Skoda decided that the Yeti should undergo a few improvements, and presented what they call the Skoda Yeti Urban Limited Edition. The best thing about this particular model is that it allegedly brings £2,450 worth of extra equipment to the table but in practice, all these extras won't cost a dime. The Skoda Yeti Urban Limited Edition will be made available in two engine variants, one of which is a 1.2 liter TSI 103 horsepower engine boasting a fuel economy of 44.1 mpg combined, and roughly 149g/km CO2 emissions. 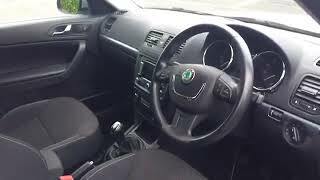 The second choice in a 2.0 liter TDI CR (diesel) engine producing 108 horsepower with a fuel efficiency of roughly 52 mpg combined and 140g/km CO2 emissions. The Skoda Yeti Urban Limited Edition will come only as a front-wheel drive compact SUV and it will feature a manual transmission. As for changes in design, the exterior of the Yeti Urban Limited Edition has been enhanced by wheel arch extensions, a set of 17 inch black and chrome Matterhorn alloy wheels, chrome exterior side molding strips, roof stripes, silver roof rails and as far as the paint options go, the Yeti Urban Limited Edition will be available in Black Magic pear effect, Candy White, Steel Grey metallic and Silver metallic. On the interior the Yeti undergone a few changes as well, but the best part about the Yeti Urban Limited Edition is that everything comes as a standard. What you can expect from this particular Limited Edition Yeti Urban is a DAB Digital radio, cruise control, Dual-Zone air conditioning, Maxi-dot trip computer, red or black sport seats, multi-function steering wheel, Bluetooth GSM II telephone preparation and sunset glass just to name a few. There are however a few accessories that you can buy separately in order to make the Yeti Urban even more interesting, optional accessories such as stainless steel pedals, sports exhaust trim and a Nextbase Click 9 Lite Duo portable DVD player featuring twin 9-inch screens. The extra cost for these three accessories is £445 but if you feel that it's somewhat steep, you can drop the DVD player and pay only £130 for the rest. 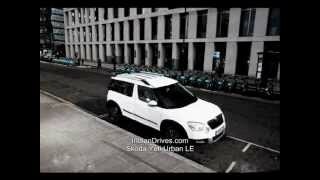 As for availability and pricing, the Skoda Yeti Urban is expected to hit the market starting April at the price of £16,900 OTR for the 1.2 liter variant, and £18,330 OTR for the 2.0 diesel.